Looking for a luxury SUV that offers peak performance and style? Find a new Porsche Macan for sale in Roswell in our expansive inventory. From the spacious, tech-filled Porsche Macan interior to its sleek exterior, this Porsche SUV is sure to turn heads on Alpharetta roads. 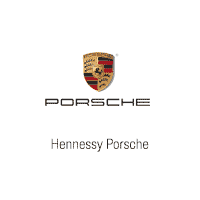 Explore our online inventory before visiting Hennessy Porsche North Atlanta near Milton to take a test drive! Why Choose a Porsche Macan? From intuitive controls and infotainment to a gorgeous exterior, the Macan has it all. See why top automotive critics like Car and Driver believe the Macan will make "objections about a hot-rod compact crossover disappear" by visiting Hennessy Porsche North Atlanta for a test drive! Our friendly, experienced team will help you find the right Macan configuration for your lifestyle, whether it's a new or pre-owned Macan option.